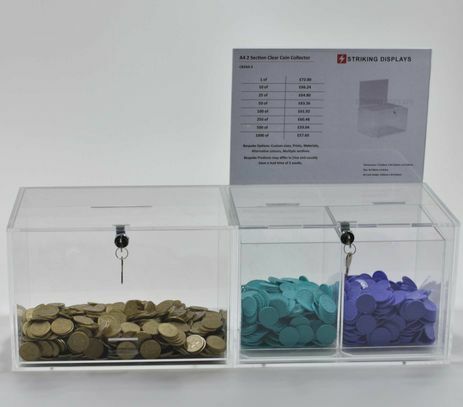 Top quality secure collection boxes, designed and manufactured in the UK by Striking Displays. 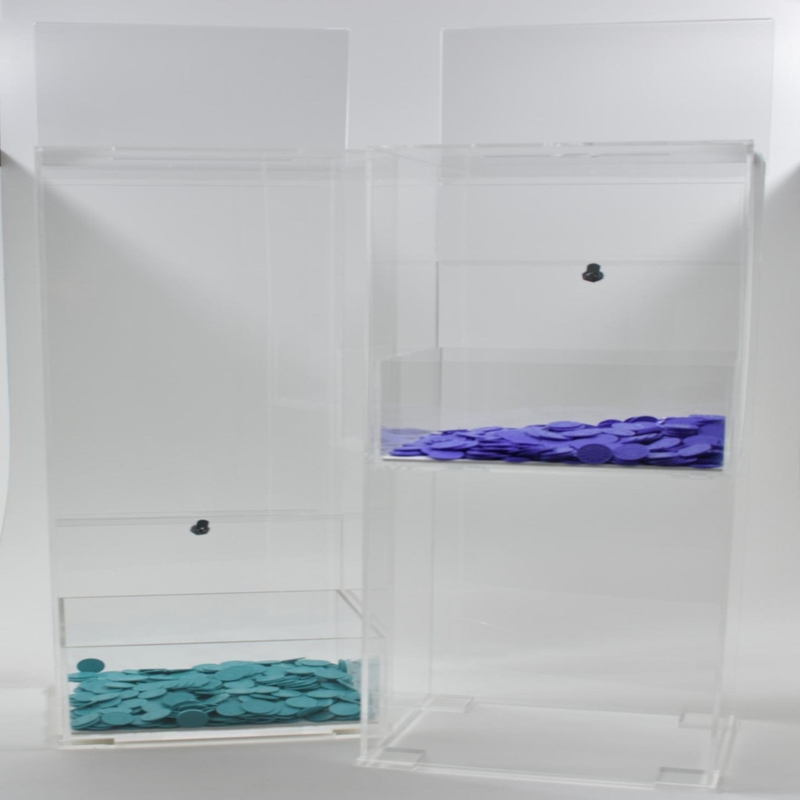 Full range of money, token, suggestion, competition entry and ballot collectors, mainly made using clear acrylic from Perspex. 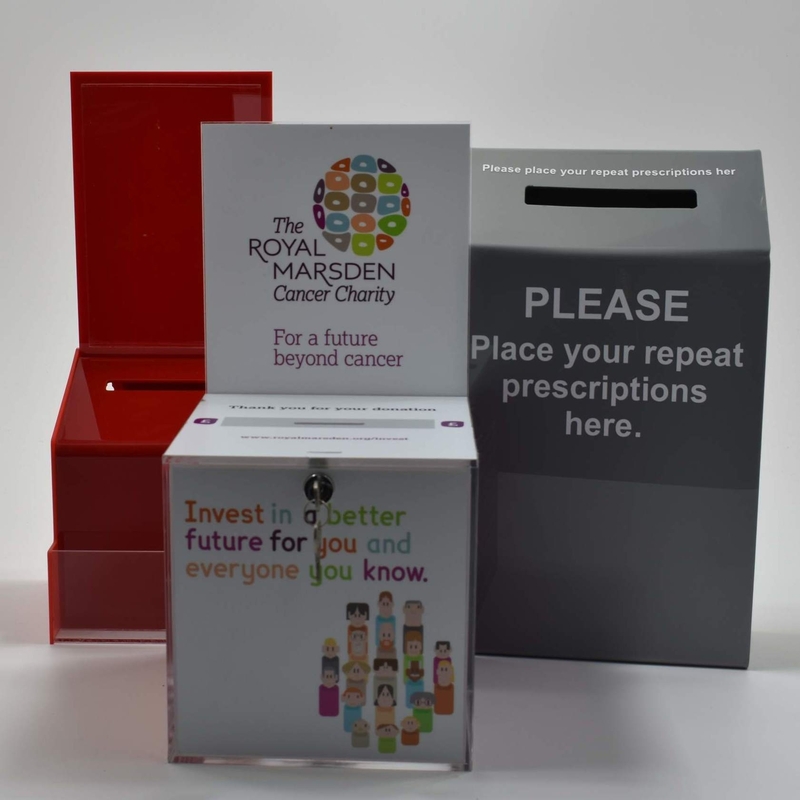 All collector boxes can be made to requirements in clear and coloured acrylic, we can also make of foamed PVC & high impact styrene (HIPS). 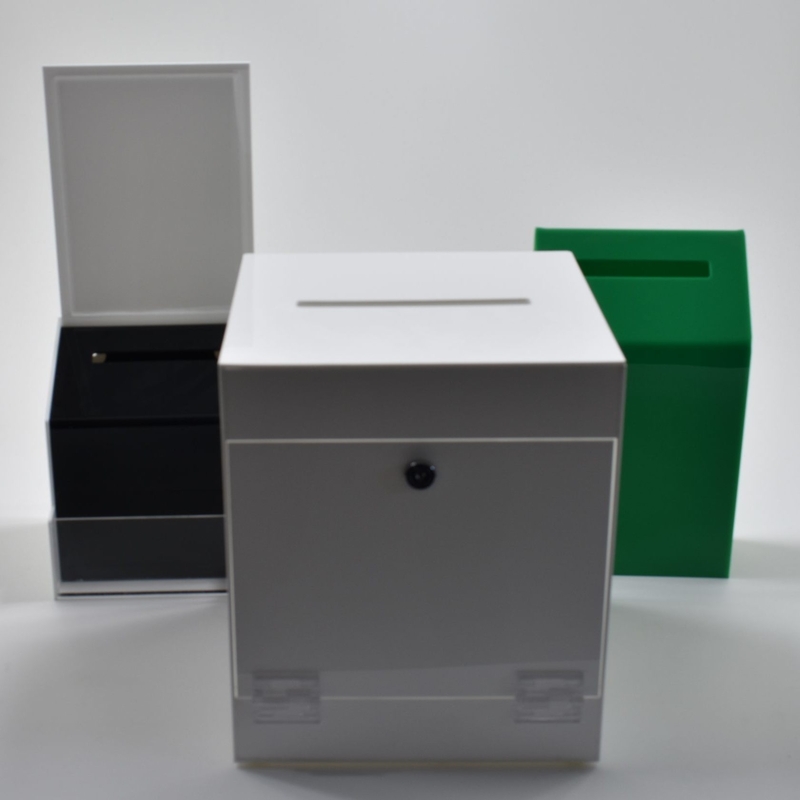 We have 2 standard sizes of white ballot boxes or we can make to suit your colour and size requirements. 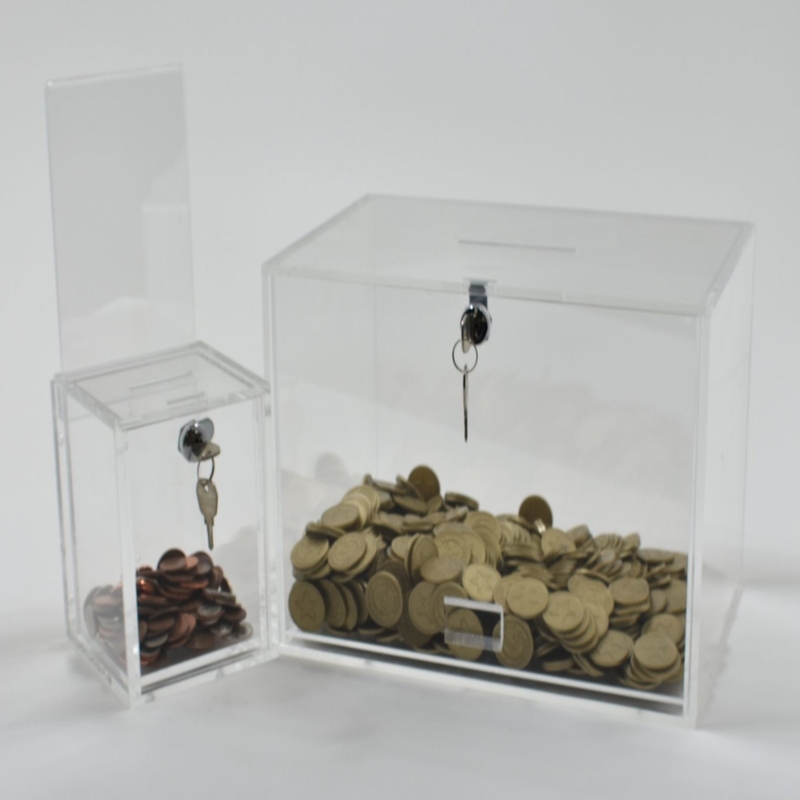 It is possible to add cardholders, leaflet dispensers, locks & pens on tethers to any of the collection boxes if required. We also add graphics to any of these units using screen printing, vinyl graphic or digital prin. Floor standing, wall mounting & counter top collectors made to your requirements. They can be drilled to secure to the floor, counter or wall and we can also add security tethers. Please click on the images below for more product information.